A 1-year subscription for compute from SoftLayer. Join us for a full day of Storm hacking on a 100-node cluster! The crowd-voted best team wins a 1-year subscription for SoftLayer (a $12,000 value)! PLEASE NOTE: You need to register on the Eventbrite and attend in person to be able to participate. Join us for a full day of Storm hacking on a 100-node cluster. 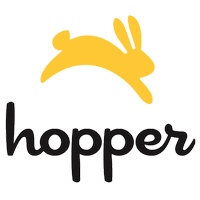 The Hopper Storm & Finagle Hackathon is an all-day power hack during which ~140 minds get access to a huge cluster (100 8-core instances with 32GB RAM and 250GB disk per node) and are set free to create something awesome using Storm. In the first hour we’ll get seasoned Storm troopers and newbies alike up to speed and also provide a crash course on Finagle (more on that below). During the day, we'll have highly skilled mentors available to answer questions, help troubleshoot, and advise and inspire you along the way. We'll also provide lunch and dinner, caffeine and soft drinks. 05:30p – Dinner. Coding ends! Storm is the realtime answer to Hadoop that provides a straightforward set of primitives tolerant of any programming language. If you aren’t familiar or need a refresher, we recommend Nathan Marz’s fantastic Storm tutorial. Finagle is Twitter’s protocol-agnostic, asynchronous RPC system is a nice fit for Storm topologies. Finagle makes writing solid, high-throughput, asynchronous services that your topologies can consume a breeze. Because we'll have awesome sponsors providing compute (SoftLayer), mentors (Hopper, Visible Measures) and space (hack/reduce), all to give you a unique occasion to have access to computing power, Storm, fellow hackers and experienced Storm troopers all in the same room! At the end, the crowd-voted best presentation will win a 1-year subscription for SoftLayer (a $12,000 value). Everyone is welcome to bring their own project ideas and find team members at the event. And if you don't have a precise project idea, don't worry, you can join a team! We recommend this list by Programmable Web of 62 Real Time APIs and you can find more with this directory. We'll also be creating a few sample spouts to connect to Storm to help get you started. If you have others you like to play with, feel free to share! Please sign up for this event via the Eventbrite link below provided you are able to physically participate at the hack/reduce facility on July 20th. hack/reduce is located at 275 Third St., Cambridge, MA 02142.